Barefoot From Buffalo was a success! 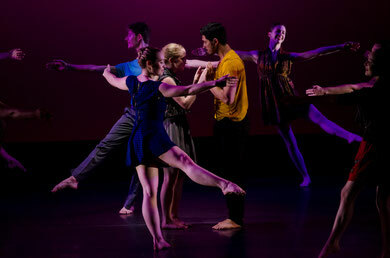 With a successful Kickstarter campaign, Ballaro Dance raised $4,506 to produce a wonderful inaugural season for the company. The cast and crew are grateful for the support from audience members, our backers, and even those who sent well wishes from afar! The outpouring of love for our work has been overwhelming and has made this adventure such an incredible ride. Choreographer Marisa f. Ballaro heads to the New York State Summer School of the Arts, School of Modern Dance, on Monday, July 21st to teach at the four week summer dance intensive. Stay tuned for updates on her work with the students during the month of August!